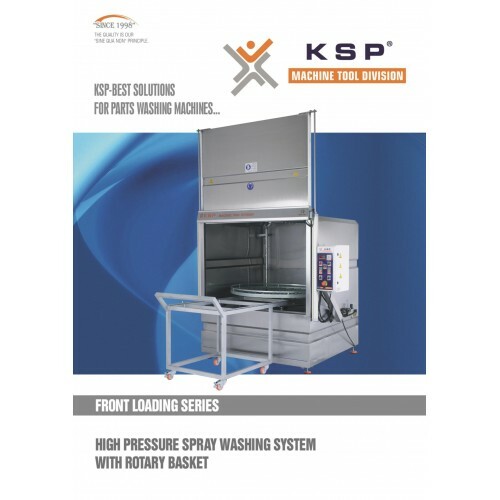 The parts which will be washed are placed on a basket that is placed on a stainless rotary platform with sliding system are washed in a closed cabinet with high pressured hot and detergent water. 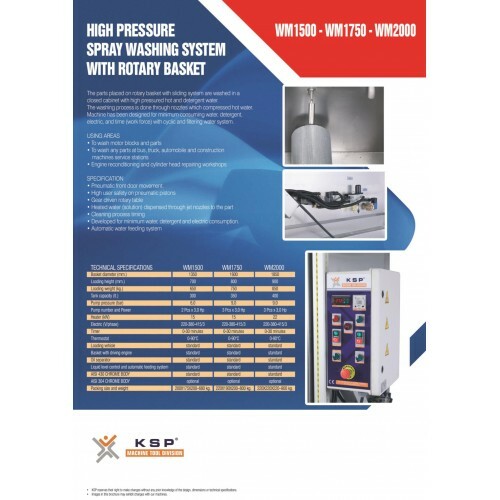 The washing process is done through water nozzles which are timed and compressive according to part structure, dirtiness rate; they clean the waste, oil, and chip on dirty surfaces in various angles. Machine has been designed for minimum consuming the water, detergent, electric, and time (work force) with cyclic and filtering water system. • At the workshops which manufacture machining parts and oiled part. • At the firms which engine reconditioning and cylinder head repairing. • Pneumatic front door movement. • Developed for minimum water, detergent and electric consumption.